337 Commercial Real Estate & Properties in Caboolture are listed in 8 categories. We have 143 Industrial Warehouses Sale & Lease , 86 OfficesSale & Lease , 52 Retail ShopsSale & Lease , 50 Development LandsSale & Lease , 10 Other Commercial PropertiesSale & Lease and 5 Medical and Consulting PropertiesSale & Lease . Front Unit With Good Exposure, Caboolture $1,800.00 pcm inc GST &am..
Good size office or display room Two roller doors Personal sliding door with security Provision for good signage on building or sign board Internal toilet 3 phase power Small mezzanine suitable for storage Contact Darren McArthur to find out more information! Ray White Commercial Northern Corridor Group is please to offer 14 Industry Drive, Caboolture for Lease. 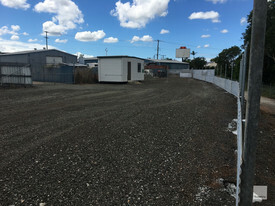 1648m2 fully fenced hardstand for lease Donga site office with air conditioning On site toilet Power to site Located in Caboolture with easy access to the Bruce Highway Please contact agents Aaron Canavan or Chris Massie for more information or to book an inspection. 206 m2 fitted office or retail Professional fit out Large board room Private office or meeting room Approx. 120 m2 open plan office space Large kitchen with meals area Lots of natural light Male, female and disabled toilet Ducted air conditioning Alarm system Large glass frontage on King Street Car parking at rear of tenancy Located in Caboolture CBD and opposite Caboolture Square Shopping Centre. Call The Commercial Guys today to book your inspection or for further information. Unless otherwise stated, the price/property may be subject to GST and/or outgoings. Ray White Commercial Northern Corridor Group are pleased to offer Suite 02, 12 King Street, Caboolture for lease. Features: 199m2 Office Space suited to office, medical or commercial use Located on the ground floor Full disability compliance Large open plan area with additional private offices Large board room High natural light 200m from Caboolture Train Station x4 Exclusive basement car parks + additional 380 bay car park on site Internal amenities including kitchen Shower facilities Owner incentives on offer For further information or to book an inspection, please contact the EXCLUSIVE agents Aaron Canavan or Chris Massie. Warehouse In Caboolture Corporate Park $1050.00 pcm inc GST plus..
Office In Corporate Park Estate Call Agent for Latest Pri..
92m2 open plan retail space Air Conditioned Grease Trap Wash Basin Professional Glass Frontage Excellent Signage Opportunities High Exposure Location Available Now and Won't Last Long! Call The Commercial Guys today to book your inspection or for further information. Unless otherwise stated, the price/property may be subject to GST and/or outgoings. Ray White Commercial Northern Corridor Group are pleased to offer Suite 03, 12 King Street, Caboolture for lease. Features: 603m2 Office Space suited to office, medical or commercial use Located on the first floor with internal lift access Full disability compliance Large open plan area with additional private offices Large board room High natural light 200m from Caboolture Train Station x9 Exclusive basement car parks + additional 380 bay car park on site Internal amenities including kitchen Shower facilities Owner incentives on offer For further information or to book an inspection, please contact the EXCLUSIVE agents Aaron Canavan or Chris Massie. 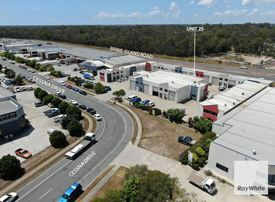 Ray White Commercial Northern Corridor Group are pleased to offer Unit 25/ 22 26 Cessna Drive, Caboolture for lease. This warehouse is situated within Corporate Park Industrial Estate, located 45km North of Brisbane Airport Brisbane CBD, also only minutes from Bruce Highway on ramps. Unit 25, 22 26 Cessna Drive is positioned within a busy complex amongst other quality tenants. Units like these don't last long so get in touch today to book an on site inspection today. Features: 88m2 Open plan warehouse Signage opportunity Internal toilets Full height roller door access Kitchen area Minutes from Bruce Highway, Transport Department, Caboolture CBD local amenities For further details please call Blake Primrose or Chris Massie. Office / Retail With Ample Secure Parking Available! $12,100 pcm incl. GST &am..
Professional Office With Fit-out Main Street Caboolture $4,840 incl GST & out.. Located in Caboolture CBD Busy main road exposure Provision for good signage 4 large rooms which could be used as Offices / Boardroom / Training rooms / Reception Ducted air conditioning Carpeted throughout Power points and phone lines Internet Good lighting Ample secure car parking Close to Train, Bus, Shopping Centre and Centrelink Short term Leasing considered For further information or to arrange inspection please contact Darren McArthur. Fully Functioning Fitted Out Restaurant/cafe Caboolture $3,626 pcm inc.GST plus o..